The lions have been able to make the longest journey back all thanks to the heroic rescue efforts of Animal Defenders International (ADI). Thirty-three former circus lions are finally able to feel grass and dirt under their paws, and the warm African sun on their backs after a lifetime of pain and misery bestowed upon them by travelling circuses in Peru and Colombia. Tim Phillips, Animal Defenders International co-founder told ‘eyewitness news’ that they had faced incredible challenges in tracking down and rescuing the lions from illegal circuses in Peru and Colombia. ADI have worked with governments to impose bans on Circus animals, but sadly once they are banned they begin to only operate in remote areas and are pushed underground. ADI have worked tirelessly to track down the circuses still in operation and seize the animals. This was not a quick job, it took the efforts of hundreds and over 18 months but it was well worth it. 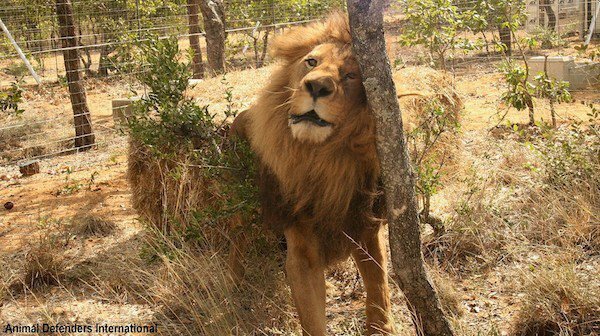 Of the 100 or so total animals rescued, 33 were lions. These beautiful regal big cats have suffered almost a lifetime of abuse and unnatural conditions, confined to tiny cages. 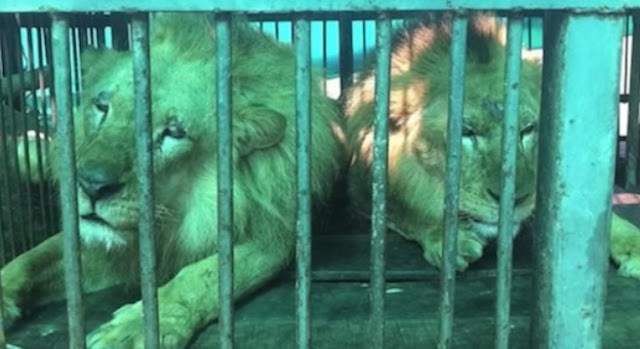 Since these lions have been kept for so long, they would no longer be able to survive in the wild. Many have had their claws removed and their teeth filed down. Responses to "33 Circus Lions Finally Return Home To Africa After A Lifetime Of Misery"
Love it. God bless adi and the lions. ok, so if they meet each other and some have no claws won't that be terrible for the guy with no claws. Even in a enclosure, fighting will happen. What then? This warms my heart. I am so grateful for these rescuers.